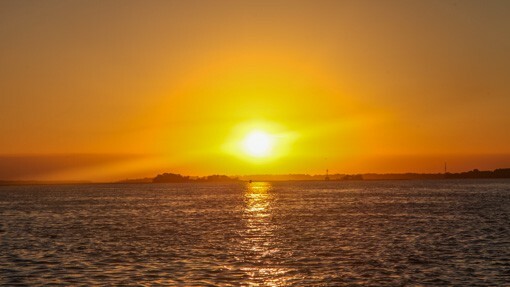 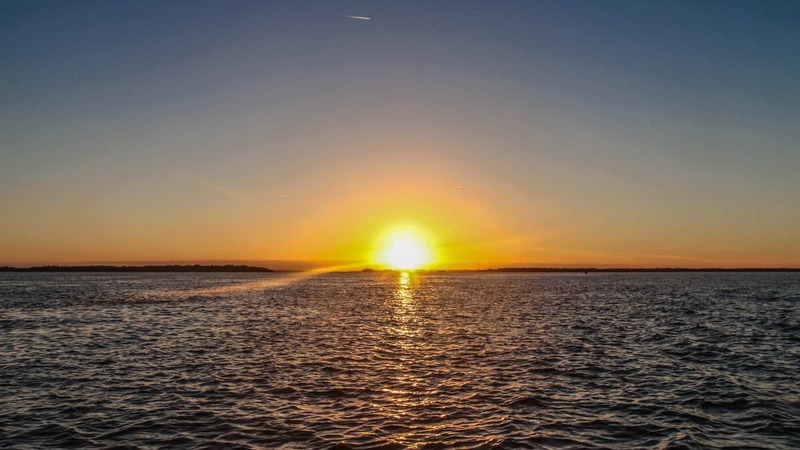 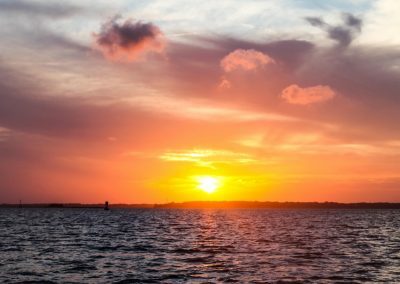 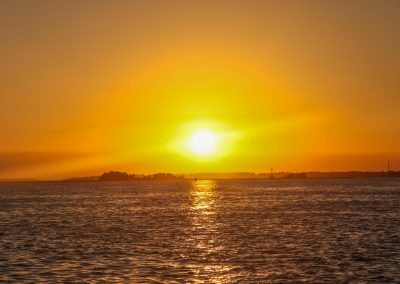 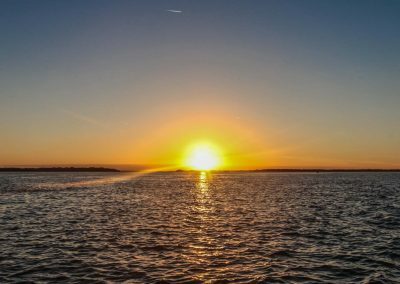 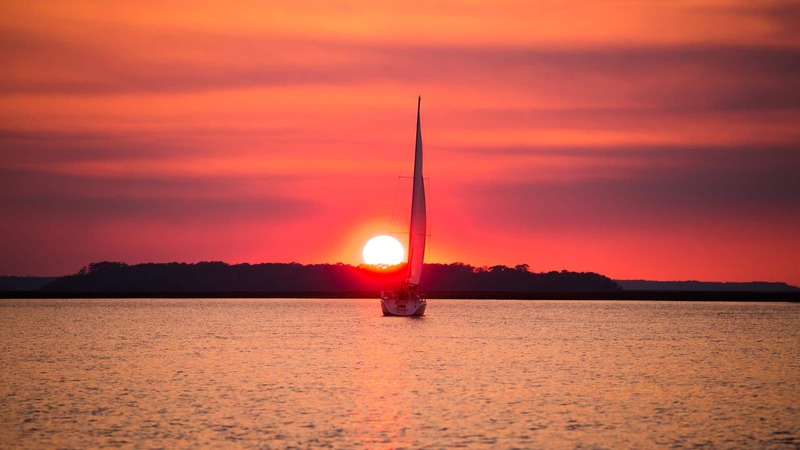 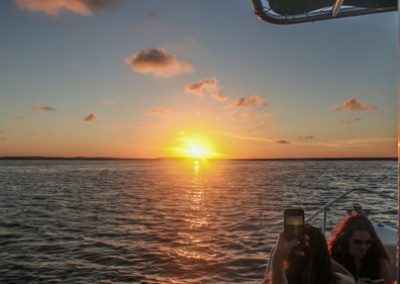 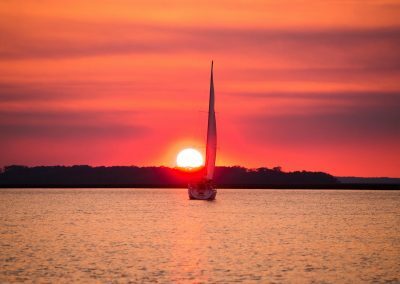 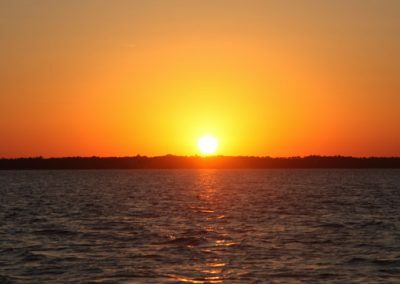 Some of the most breathtaking sunsets in Florida can be found on our Amelia Island Sunset Cruise. 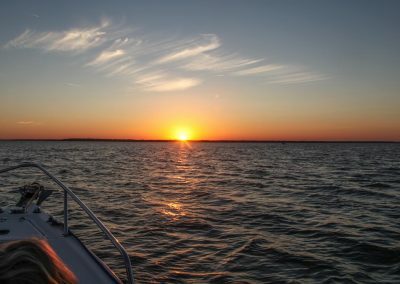 The colors are spectacular as the sun eases behind the horizon, casting brilliant hues of burnt orange, pink, and red. 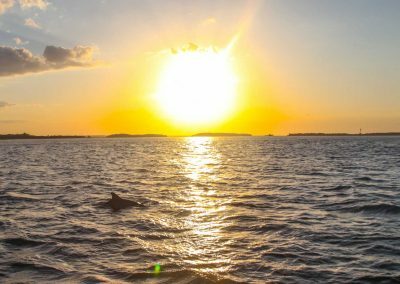 Our 1 hour Sunset Boat Tour departs one hour before sunset and and our 2 hour Nature Tour & Sunset Cruise departs 2 hours before sunset. 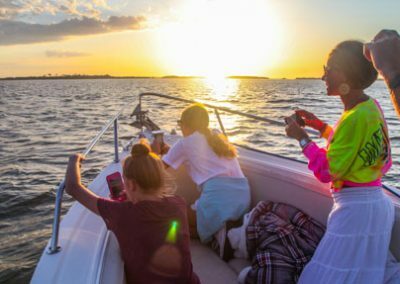 We begin our Amelia Island Sunset Cruise at the Fernandina Beach marina and head down the Amelia River taking in the beauty of the historic waterfront. 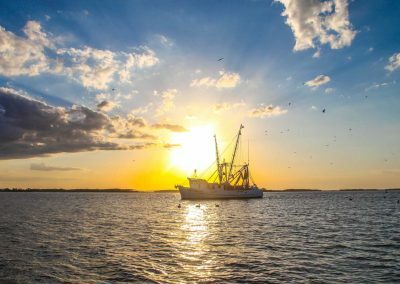 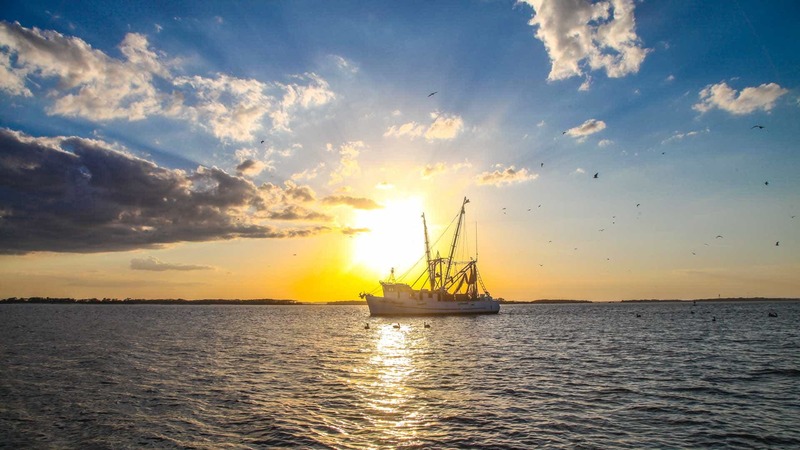 You’ll enjoy seeing our charming downtown district and shrimp boats from a different perspective, and at the end of the day, there is a certain tranquility that comes over our surroundings just before dusk. 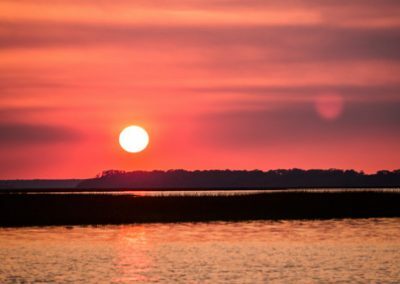 We’ll motor past Fort Clinch, a real Civil War fort, then head across Cumberland sound to Cumberland Island National Seashore, where we hope to see wild horses grazing on the dunes, just before the sun sets. 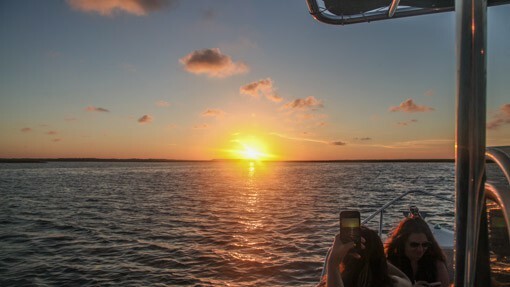 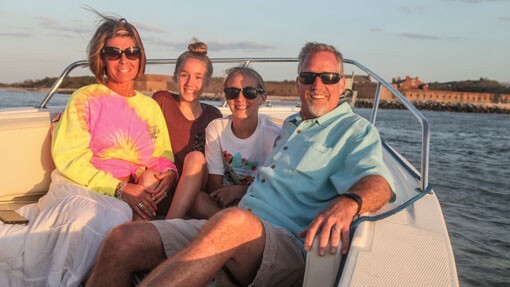 Then on our Amelia Island Sunset Cruise we’ll head back to the harbor, as the sun casts its last, luminous glow of the day. 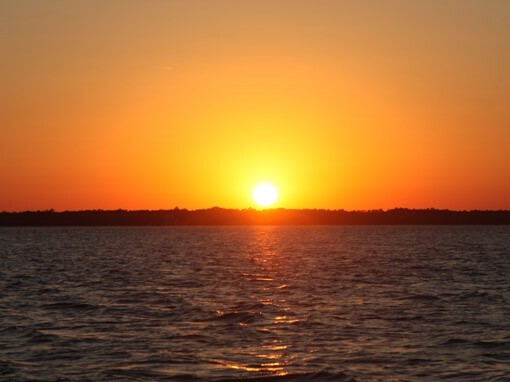 It’s the perfect end to any day! 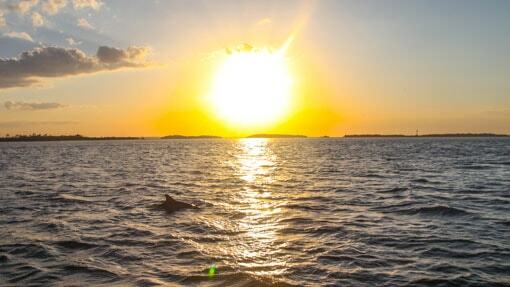 Manatee, Dolphin, Birds, Wild Horses. 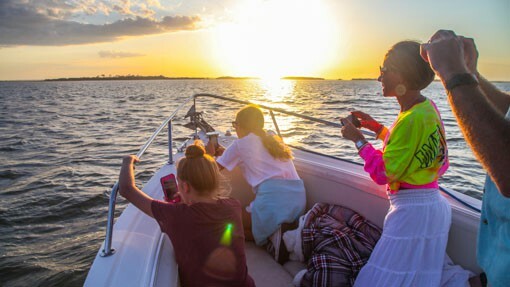 1 hour Sunset Cruise $150 up to six people. 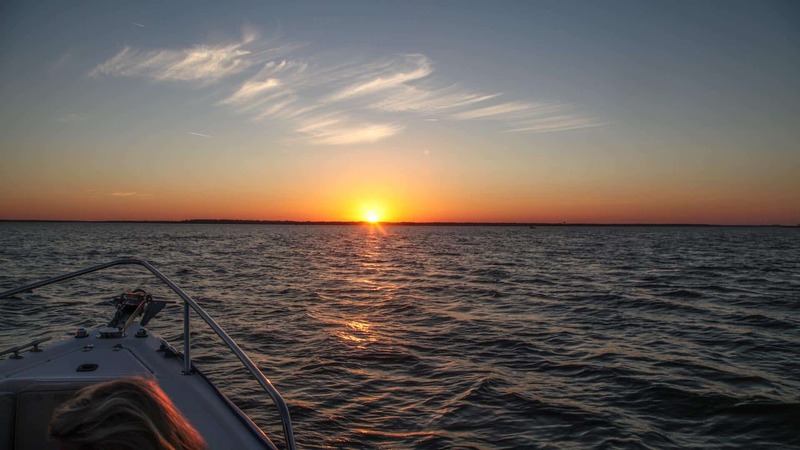 2 hours Sunset Cruise $300 up to six people. 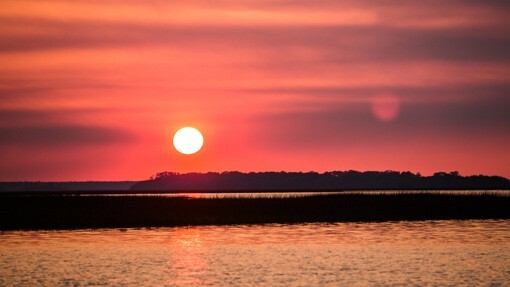 2 hour tour includes our extended nature tour including Cumberland Island and the Dungeness Ruins. 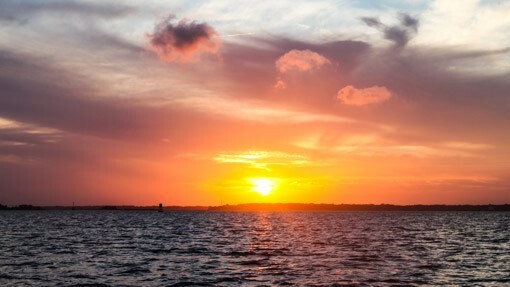 When booking online tour meeting time are shown for the day you chose. 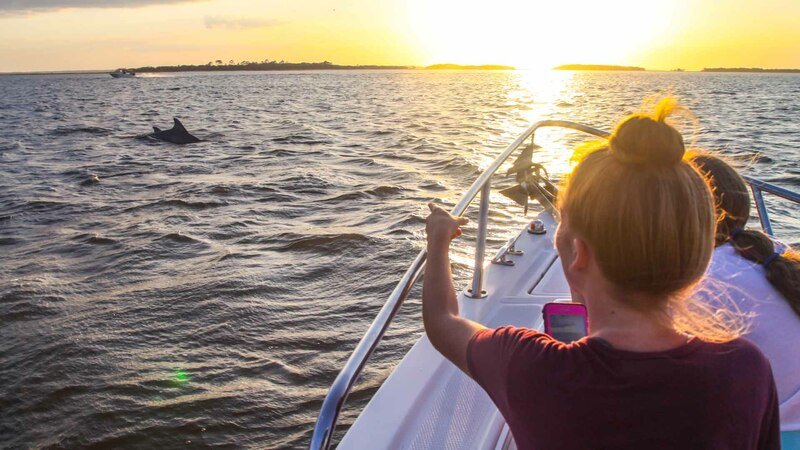 Please call 904-500-TOUR with any questions. 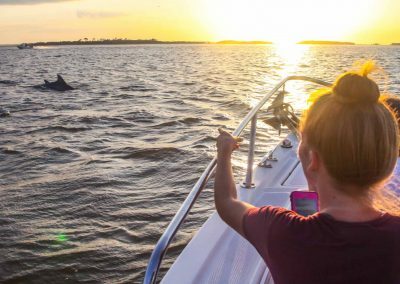 Complimentary Photography on all Tours.